R0240. 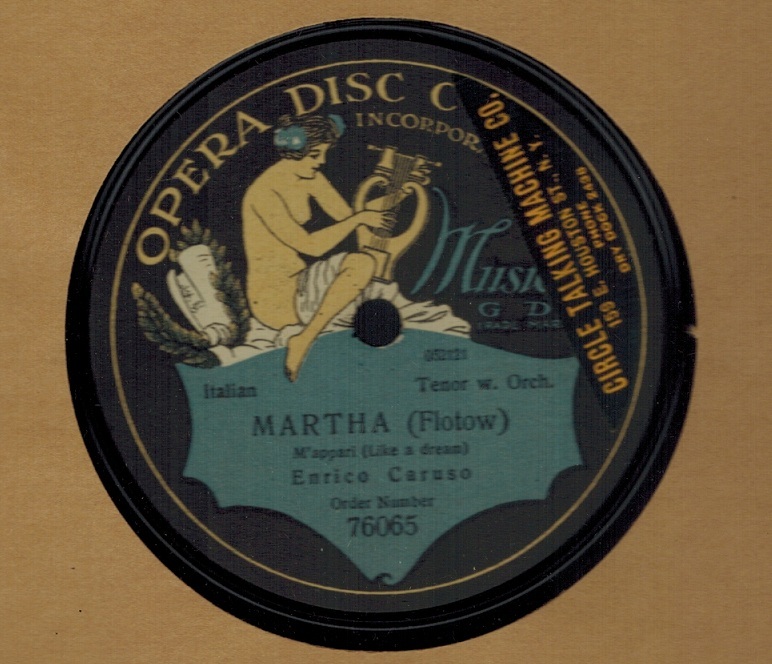 ENRICO CARUSO: MARTHA – M’apparì (1906 Version) (Flotow). 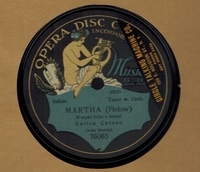 12” AC blue & black Opera Disc 76065 (C 3100-1), POM-11 Feb., 1906. Superlative copy, Contemporaneous New York label sticker remains.